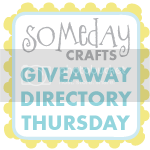 Mega•Crafty: Bunny Pattern and Needle Felting Kit Giveaway! 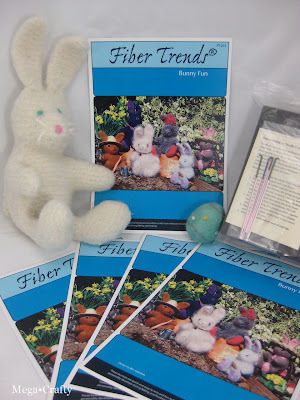 Bunny Pattern and Needle Felting Kit Giveaway! If you've been reading for a while you might remember that for the past few years now I've been making these cute knit/felted bunnies for Easter. This year I'm going to be making a bunny for my nephew and a few others for some special people. 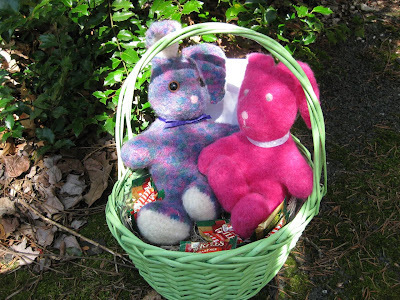 Want to make a bunny too? 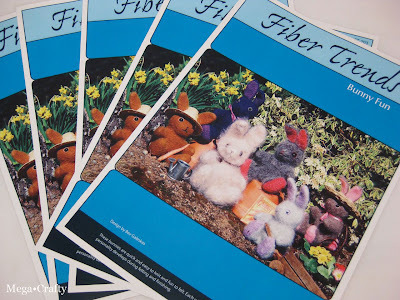 Well your in luck because the fabulous people at Fiber Trends have generously supplied Five felted Bunny Fun patterns for my giveaway! I really love this pattern, it's great for a beginner (it was actually the first stuffed toy I ever made AND one of my first felted items) but years after those first bunnies I'm still so enchanted with the pattern that I use it ever year. 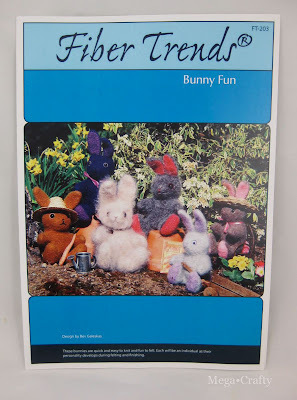 Last year I bought their needle felting starter kit and tried doing some needle felted features on a few bunnies. It turned out even better than I expected so this year I'm going to experiment some more and try adding needle felted patterns onto some rabbits. So... One super lucky reader will be getting a needle felting kit in addition to the bunny pattern, courtesy of Fiber Trends! 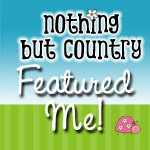 And 1 grand prize winner who'll receive the pattern AND a needle felting starter kit! 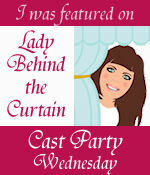 This giveaway is open to readers worldwide and ends Sunday April 3rd at 11:59 pm EST. 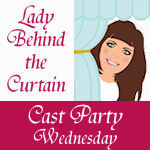 I'll randomly select the winners and post them on Monday April 4th. This Giveaway is now closed. Thanks to all who entered. 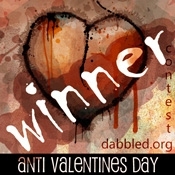 The winners can be found here. LOVE fiber trends and i've been wanting to try some needle felting for a while now! i really love their felted purse patterns. fingers crossed for this one! I like the color pack of roving for needle felting. How fun! Thank you! I have wanted to learn about needle felting. 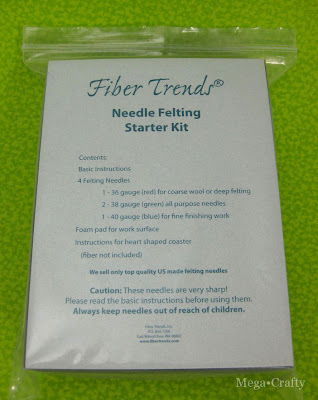 I love Fiber Trends. I have made the slippers a number of times. I love this shawl pattern, too! Those are so cute! I've been wanting to learn about needle felting to use as embellishments for knit items, but I've been a bit intimated so far..
That's a brilliant prize! 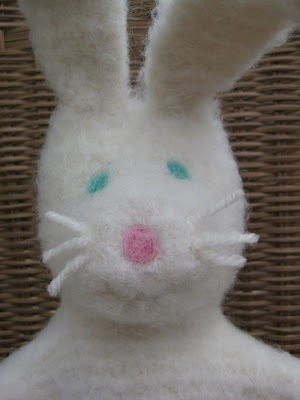 I so want to get into needle felting, and who can resist those little bunnies? Adorable! oh what a sweet bunny! My daughter would love that...and my son too, actually! Like you I would be making bunnies every year! These are some of the cutest bunnies I have seen yet! 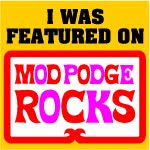 I popped over to the site and I love the baby owl kit. Those owls are totally adorable - almost as cute as the bunnies! Thanks for another fabulous giveaway. Oh how I hope I win! I agree ... the birdhouses are adorable! I love everything on this site - the baby owls and birdhouses really catch my eye and the patterns are neat. Those owls and birdhouses are amazing! I am new to felting~ making bags, I think I might have to give this a try! I love the Butterfly Garden Square Shawl or Throw Pattern by Evelyn A. Clark. I love the felted penguin. So cute. OMG! Love the patterns . . .there is really a great selection. 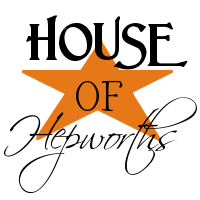 I especially like Henrietta and family. Aren't those chickens the cutest?? I adore the Circle of Life Shawl but there were so many cute things! Cute! I love the alpacas. Those birdhouses ARE adorable, but I love the baby and toddler slippers. I've never really thought about all the possibilities of felting before. Thanks for the giveaway! Thank you for the chance to win. I've been dying to learn how to needlefelt. I would Love to try the alpacas. They're so cute! This is such a great prize! I'd love to try the Baby Owl kit, it looks really cute. Thanks for the chance to win!